NEW YORK (Reuters) – Foreclosure starts rose year-over-year in May for the first time in more than two years as banks resumed dealing with distressed properties after a mortgage abuse settlement earlier this year, data firm RealtyTrac said on Thursday. 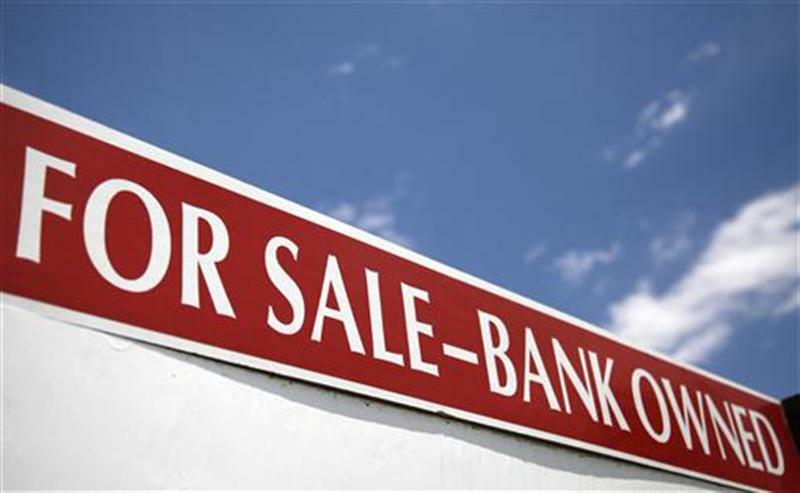 The $25 billion settlement between major banks and states, formally approved in April, had been expected to jump-start foreclosure proceedings that were previously stalled by uncertainty about the liability of banks. Overall foreclosure activity, which includes default notices, scheduled auctions and bank repossessions, affected 205,990 properties in May, a 9.1 percent increase from April. The figure was 4.2 percent lower, however, than in May 2011, RealtyTrac said in a monthly report. Foreclosure starts grew 12 percent from April and 16 percent on an annual basis after 27 straight months of year-over-year declines. Foreclosure starts were filed on 109,051 homes in May, the first month-to-month rise since March. Bank repossessions increased 7 percent after sinking to a 49-month low in April, with 54,844 homes repossessed in May. “That the May numbers were up the month after that settlement was completed is an indication that lenders are more confident that there are clear ground rules to foreclose now, so they can play by the rules,” said Daren Blomquist, RealtyTrac‘s vice-president. “The banks are getting to a place where they consider their foreclosure processing issues resolved, so they’re confident enough to go ahead and push through more foreclosures,” Blomquist said. Blomquist noted the jump in foreclosure starts was not a sign that a new crop of borrowers was beginning to miss payments, citing figures from the Mortgage Bankers Association indicating new delinquencies fell in the first quarter of 2012. Georgia‘s foreclosure activity increased by 32.9 percent from April and 30 percent from May 2011, making it the month’s leader in foreclosure activity, ahead of Arizona, Nevada and California, the report said. Nevada‘s foreclosure activity was down 66 percent from a year ago but it still has the third-highest rate of any state in the country. The Riverside-San Bernardino metro area in southern California had 8,388 properties with foreclosure filings in May, a 19 percent increase from April. One out of every 179 housing units is in foreclosure, over 3.5 times the national average. New Jersey continued April’s trend, with 1,136 foreclosure starts in May, an annual rise of 118 percent. In April, foreclosure starts rose 180 percent annually. Blomquist expected many of the new foreclosure starts to end in short sales, in which a property is sold and the lender keeps the proceeds in exchange for releasing the borrower from further obligation. Short sales were up 25 percent in the first quarter of 2012, reaching a three-year high, since lenders can often fetch a higher price in a short sale than if they repossess them and then put them back on the market. By moving houses out of the so-called “shadow inventory” and onto the market, the increase in foreclosures could be a drag on the fragile U.S. housing recovery. The S&P/Case-Shiller index of home prices in 20 metropolitan areas inched up February and March, in monthly terms. The median nationwide asking home price in May rose 3.2 percent from last May to $194,900, and the number of homes for sale dropped 20 percent to 1.88 million, data from Realtor.com, the website of the National Association Realtors Association, showed.